This sweet little pointillism painting depicts a scene from the Old Trunk Road, Palmer, Alaska, of alpen glow on the distant mountains. 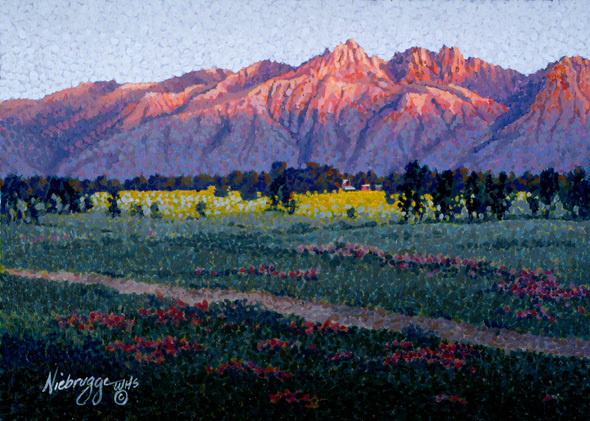 Painted by Alaska artist Gail Niebrugge in 1996 after she moved to Palmer from Copper Center, she carefully applied tiny dots with a small brush to create this vibrant scene in a technique called pointillism. “Twilight” is now offered for sale.